Activists mark 9,000 days of imprisonment for Jonathan Pollard setting up a picket tent under the Calatrava Chords Bridge in Jerusalem. They plan on protesting for three days. Jonathan Jay Pollard, an American born in 1954, was a civilian intelligence analyst. He was convicted of spying for Israel and received a life sentence in 1987. 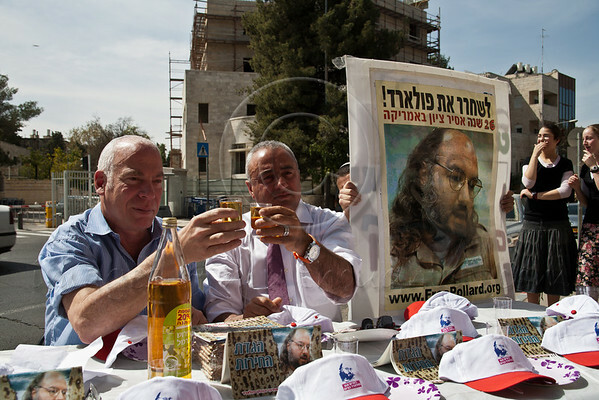 Israel granted Pollard citizenship in 1995 but denied that he was an Israeli spy. In 1998 Benjamin Netanyahu admitted Pollard had been an Israeli agent. Pollard’s wife, Anne, was sentenced to five years in prison and paroled after three and a half years because of health problems. At the end of Anne’s parole she immigrated to Israel. Jonathan divorced Anne and later married Elaine Esther, an activist for his release. 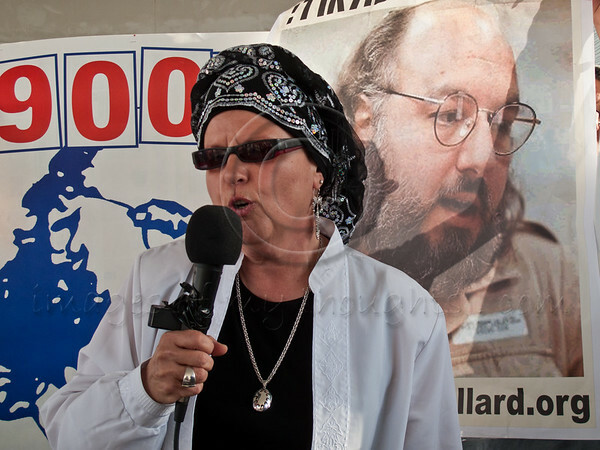 Over the years activists and Israeli politicians have lobbied for Pollard’s release. Israeli PM Benjamin Netanyahu has in the past voiced very strong support for Pollard, visiting the convict in prison in 2002. Pro-Pollard activists are now trying to ride the wave of the Gilad Shalit campaign and to tie the two together. They voice anger at the fact that the PM, in his recent U.S. visit and talks with Pres. Obama, only had Gilad Shalit on his agenda, not even mentioning Jonathan Pollard.